There have been five mass extinction events since the Earth formed, the last being the death of the dinosaurs and many people believe that we are now in the Sixth Age of Extinction but the difference this time is that this event is man made. But Scientists increasingly agree that it’s only a matter of time until we are able to bring previously extinct species back from the dead – the First Age of De-Extinction. Before all of you Jurassic World fans race off screaming to book your dino theme park tickets though I have bad news for you. We’re only talking about bringing back species that were made extinct recently – in the past few hundred of years or so and before you all write letters to your favourite Congressman or woman about how unfair and unjust this is it’s not the scientists fault. It’s down to DNA – unfortunately DNA has a half life of 521 years -meaning half of the DNA bonds would be broken down 521 years after death, and half of the remaining bonds would be decayed another 521 years after that, and so on and so on. While this decay rate is slower than originally thought it means that all of the DNA bonds would be completely destroyed after 6.8 million years and T Rex and his gnarly ancestors dies out over 65 million years ago so for now at least, and until science can find another way – perhaps using the discipline of Synthetic Biology which in itself “ends Darwinism” but that’s another story for another time, that means that a real Jurrasic World is off the cards. However with a decay rate of 521 years it does mean that DNA fragments of sufficient length to be cloned could exist in fossil bones up to a million years of age so out with T Rex and in with the Giant Moa, the Giant Tortoise and the Wooly Mammoth. Yes, book those tickets now and hold on to your hats! Legs and arms inside the cars – watch out those tortoises have a vicious bite. Anyway, back to more serious matters. The reality of humanity being able to resurrect previously extinct species is becoming so plausible that the International Union for Conservation of Nature, whose members include over 11,000 of some of the world’s top scientists, has issued its first official set of guidelines on resurrecting extinct species. What’s more, university research labs and non-governmental agencies have projects in motion to bring back extinct species. But is all of this a good idea? A new paper by UC Santa Barbara researchers explores de-extinction – the process of resurrecting an extinct species – as a potential win for conservation and suggests how to make it so. In an analysis in the journal Functional Ecology, UCSB ecologist Douglas McCauley and colleagues recommend several ways in which the science of de-extinction would have to evolve in order to make it maximally benefit ecological communities and ecosystems. “The idea of de-extinction raises a fundamental and philosophical question: Are we doing it to create a zoo or recreate nature?” said co-author Benjamin Halpern, director of UCSB’s National Center for Ecological Analysis and Synthesis. Bringing back species useful for conservation requires big-picture thinking. For example, the grassland ecosystem in which the mammoth once lived looks totally different today. For a variety of reasons, human population expansion among them, some areas where these creatures once roamed cannot be restored to their former ecology. “What some are proposing to do with de-extinction will be like manufacturing a part from the engine of a Model T and trying to shove it into a Tesla,” said lead author McCauley, an assistant professor in UCSB’s Department of Ecology, Evolution and Marine Biology. “You just can’t take a part and put it into a brand new system and expect it to work without considering how its ecological context has changed. The UCSB team developed three recommendations for restoring ecological function through de-extinction. 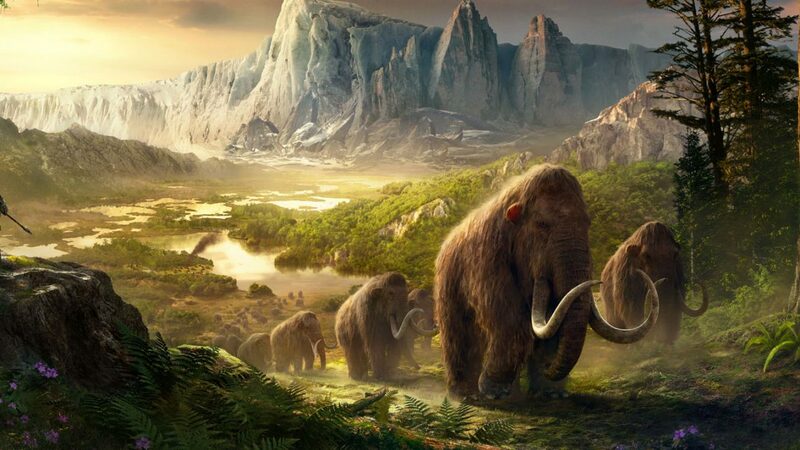 The first suggests resurrecting recently extinct species rather than those that disappeared thousands of years ago. These creatures may fit more seamlessly into their ecosystems because there has been less time for change to occur. The researchers offer several examples of these “young” extinctions, including the Christmas Island pipistrelle bat, the Réunion giant tortoise and Australia’s lesser stick-nest rat. Secondly, the group advises choosing animals whose ecological jobs are truly irreplaceable. For example, the Christmas Island pipistrelle bat was once the only insect-eating bat in its habitat. Its de-extinction would plug a hole in an ecosystem that nature would otherwise have a hard time filling. Ditto for the Réunion giant tortoise, which dispersed seeds throughout its Indian Ocean island habitat before being driven extinct by hungry mariners. Those plants still exist, although they are moving closer to extinction without the tortoises to perform their ecological function as seed distributors. The third guideline, according to co-author Molly Hardesty-Moore, a graduate student in McCauley’s lab, is to bring back species that can be restored to functionally meaningful abundance levels. Rather than oppose de-extinction outright, the UCSB scientists hope to start a conversation in the scientific community about how to make the process more ecologically smart.